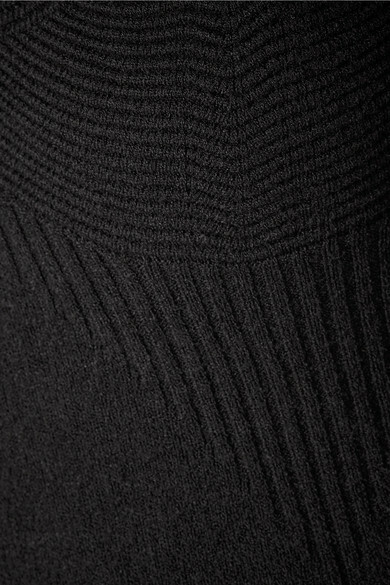 Supported by delicate straps, Altuzarra's sweater can be worn off or just grazing the shoulder - both highlight your décolletage in such elegant ways. It's made from a slinky ribbed-knit and designed for a close fit. If you're planning to wear yours in the evening, put a swipe of highlighter across the collarbone. 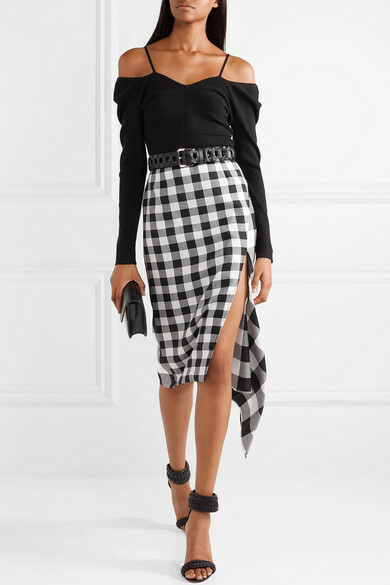 Shown here with: Monse Skirt, Victoria Beckham Shoulder bag, Altuzarra Sandals, Altuzarra Belt.